about your favorite item you've bought from Etsy. throughout the period of the giveaway. The discount is good for both the Much Love and Dahliaville shop. and she'll send you the Paypal refund afterwards. I love the 'under the umbrella' ring, it's so adorable!! Oh wow, I want to see a picture of Holly's shoes that are good enough to frame! My favourite item from the Much Love store is Someone Ate My Macaron. I would be pretty angry at that Someone. My best purchase ever from etsy was my Dawn Tan Winter Sea Otter print - so good that I've bought 3 of them now (one for me, two for friends). I don't have an etsy (I am a boring non-creative type) but I would like to thank you for bringing a little beauty into my day! 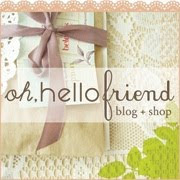 I have been following both your blogs for a while now, this is lovely! i have not yet bought anything from etsy! i love etsy shops, but i do not have one. i love browsing them though. i love your giveaways, they are so sweet. i lovelovelove the pie lover necklace! thank you for offering such an adorably sweet giveaway! I liked the knock knock, so clever! Uhhmm I don't have a shop. Sooo here is a spell for summery days!! Someone ate my macaron.... soooooooooo sweeeet! Aaaaw I ADORE Etsy, there are so many beautiful things around I can never decide what to buy! I love just everything I bought there. The last thing I bought there were cute coffee-stained Americana bowl fillers. The link to my Etsy shop is SucreEtCannelle.etsy.com. In a few days, it will be BlancEtCaramel.etsy.com. Thanks so much for visiting! I've bought a beautiful postcard set from Etsy recently. Love it to bits. As for starting an Etsy shop, I've thought about it and really want to get the ball rolling, but I think it would be wise to stock up on material first before jumping the gun. My favorite buy from Etsy is a set of pillows shaped and hand painted to look like prairie dogs. I bought it on a whim and they are in the window of my cube at work. My favorite item from Much Love is the lovely "Someone Ate My Macaron - 4 x 6 Photo Print". Super cute! My favorite buy from Etsy is a necklace from Toch the Dutch. It's perfect! Love the yellow tights print! I've bought SO many items that I LOVE on Etsy but my favorite are any of the original art pieces I've gotten. My store is recy.etsy.com but it is on vacation right now. favorite item has got to be my sheer green skirt. What a great giveaway! 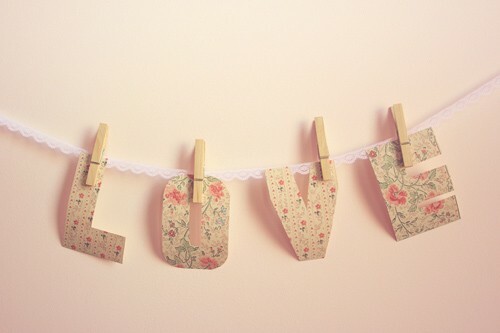 My favorite item from the Much Love shop is the Love Garland - 4 x 6 Photo Print!! I just LOVE how pretty the paper used to make the letters look together! My fave's Jump in the Water. Chouettes is such a great store, the seller is sweet and wraps everything so beautifully! my favourite from Much Love shop would be 'Teaspoon of Sugar in My Tea necklace'. 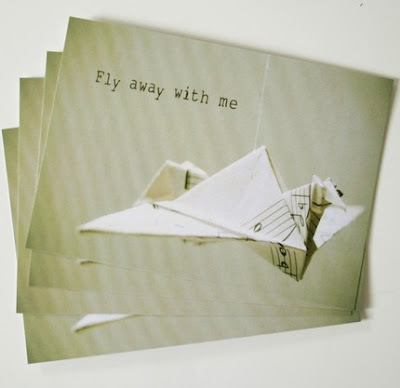 And I'd pic definitly a postcard set with papercranes as they're are my favorite! Oh I LOVE the first print! I love the "stars in the day" print. Everything is so pretty, it was hard to choose. This month is a big month for our little shop, we have about 60 items to upload. I can't wait. We have had so much fun treasure hunting. The best thing I ever bought from Etsy would have to be the vintage wishing well rhinestone pin that I bought for my husband to give to me for our 4th wedding anniversary. He proposed at Snow Whites wishing well at Disneyland. So, I had to have it. best etsy purchase: fingerless gloves from beautiful bridget! they keep me warm at work! My favorite item: the Sunset polaroid print. What a georgeous sky and colours and trees and, oh I just love it. Everyday I check Loveology, when there are new updates, even the worst day gets better just because of looking at all your amazing finds, photographs and the hole sfere on Loveology. You really make my life more beautiful. Thankyou.